Technology continuously transforms the world around us, but one could argue that no industry has seen as much change as the car industry in recent years. Always vying for new customers, automakers are continually innovating to bring us a safer, smoother, and more entertaining ride. As we move closer and closer to autonomous vehicles, many tech giants are making their own vehicle prototypes, blurring the lines between the two industries even more. As evidence, the annual Consumer Electronics Show has become just as important as the International Auto Show for nearly every major car company. Most new car technologies centre around enhancing the experience for drivers and passengers. Some work to keep us safe, some to keep us connected to the information we need, and others to provide a more comfortable drive. 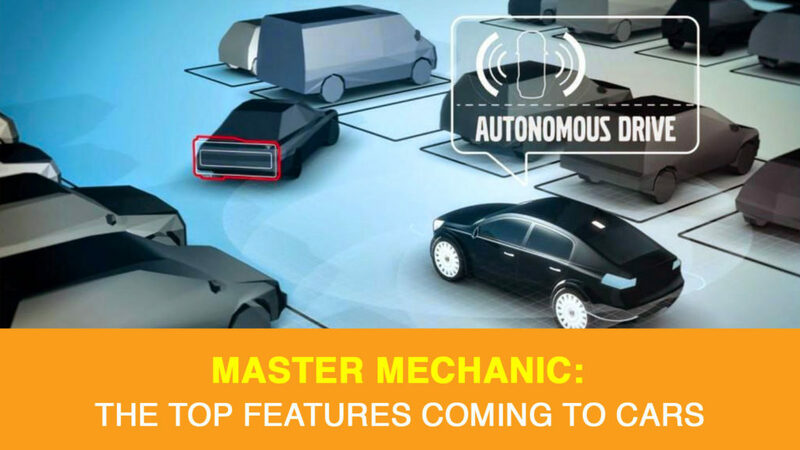 Let’s take a look at some of the top new features we can expect to see in our cars shortly. In recent years, we’ve seen key-entry become all but obsolete in cars—and now we’re in-store for the next evolution in keyless entry. Soon, you’ll be able to unlock and start your car with your fingerprint, retina, or face. If you think that this sounds a lot like the tech packed into your latest smartphone, you’re right! It’s the same. This year, start-up technology company, Faraday Future, unveiled a nearly street ready EV supercar called the autonomous FF 91. The FF 91 boasts facial recognition technology that identifies the driver and continuously learns driving behaviour to offer a better ride. Insurance companies are moving towards vehicle tracking to provide customers with a rate that more accurately reflects their driving. This could lead to discounts for some, while others will pay a premium for poor driving habits. By 2020 we can expect many insurance companies to offer a discount for drivers that agree to track their driving behaviour fully. Right now, it appears that these services will be voluntary, but as more and more autonomous cars make it on the road, full-vehicle tracking is likely to become the norm. FORD Motor Company has been previewing some pretty innovative technology that we could potentially see in some of their models pretty soon. With the bold goal of developing a fully autonomous vehicle by 2021, they’ve been exploring other ways to elevate the driving experience for their customers. They’ve introduced seatbelt and seat sensors that track vital body signs – much like wearable technology devices that monitor heart health and send updates to health practitioners. Instead of patients taking time to do this, it might occur automatically on their morning commute. When we imagine this paired with the emergence of autonomous vehicles, it’s not hard to imagine a car that pulls over and calls paramedics in the event of an emergency, or helps calm you down when road rage hits. Head-Up Display (HUD) technology was first introduced a long time ago, but it was typically use to convey information like speed or mileage. As good as current HUD are today, by 2020 we’ll see active glass capable of displaying vibrant ads, directions and vehicle information to drivers. As cars become more connected to the environment we navigate, we’ll likely see personalized information that pertains to our interests or previously visited locations. When your vehicle needs a repair, it might even be able to alert you and direct you to the closest Master Mechanic! Forget push to start…at this year’s Consumer Electronics Show, BMW showed off their new HoloActive Touch, a new iteration of their Gesture Control system. It allows you to wave your hands and interact with a projection in the same way you would a touchscreen – no buttons whatsoever! You know that self-driving, automated cars are coming. But in the not too distant future, we will likely see automated valet parking at select venues. The technology already exists today, and it’s called “vehicle-to-infrastructure communication”. In the same way that cars auto parallel park themselves, your vehicle will communicate with the parking garage to find a free parking space. After locating a spot, the car will drop you off and park itself, then automatically return when you retrieve it with an app. Sounds glorious for malls during the holidays, doesn’t it? In the next decade, technology in cars is going to change more than we’ve ever seen before. We’ll go from active drivers to passengers and see significantly more focus on comfort and convenience, rather than performance. Some consumers will welcome the change with open arms, while others will be reluctant to trust the technology and write it off as a gimmick. Only time will tell which features are adopted by consumers. If you have any questions or concerns with your current car’s features, don’t hesitate to contact your local Master Mechanic for help.